Finished fourth in the majors in stolen bases (35); (14-for-16 with Milwaukee and 21-for-24 with Baltimore), the second-most steals in a season for his career (62 - 2016)...Recorded four multi-stolen base games; successfully stole 13-straight bases from 6/10-8/28...Made his fifth-straight Opening Day start (second base)...Hit safely in nine of his first 12 games on the season, batting .342 (13-for-38)...Acquired from the Milwaukee Brewers along with minor leaguers RHP Luis Ortiz and INF Jean Carmona in exchange for INF Jonathan Schoop on 7/31...Hit safely in four of his first five games with Baltimore, hitting .429 (9-for-21) with four runs scored... Homered in back-to-back games on 9/2-3; first time since August 30-31, 2017...Recorded 14 multi-run games during the season, and eight with the Orioles...Matched his career-high hitting streak of nine games from 9/1-11, hitting .371 (13-for-35) during this stretch...Hit his second career Eutaw Street HR on 9/16 vs. CWS; his first came on 8/15 vs. NYM...All 74 of his starts with Milwaukee came at second base; made 36 starts at second base for the Orioles and 18 at shortstop. Batted .241 with 11 HR, 40 RBI and 23 stolen bases in 122 games... Made 90 starts (84g at 2B, 6g in CF)...His only start after 9/5 came at second base on the final day of the season (10/1 at St. Louis)... Made his first career start in center field on 8/15 vs. Pittsburgh.....his other starts at that position came in 5 straight games from 9/1-9/5... His 23 stolen bases tied for sixth in the National League... Batted .252 (72-for-286, 9hr) as a left-handed hitter and .214 (25-for-117, 2hr) right-handed... Was on the 10-day disabled list from 6/10-6/26 with a lower back strain... Belted a leadoff homer on 4/8 vs. Chicago-NL (off Kyle Hendricks).....has 5 career leadoff HR...Produced his third career 2-homer game on 6/29 at Cincinnati... Batted .365 (27-for-74, 3hr, 7rbi) over his last 29 games... Named Brewers Player of the Month for August (20g, .364, 3hr, 8rbi, 3sb, .564slg, .386obp)...Played for the Dominican Republic in the World Baseball Classic (3g, 1-for-5, 2r, 1bb, 1sb) • Played for Aguilas in the Dominican Winter League...Signed a 1-year contract on 1/12/18, avoiding arbitration. Batted .285 with 19 HR, 63 RBI and a Major League-leading 62 stolen bases in 156 games during his first season with Milwaukee...Made 152 starts (104g at SS, 40g at 3B, 8g at 2B).....48 of his last 53 starts came at third base (40g) or second base (8g) following the 8/2 promotion of SS Orlando Arcia...Led the team in at-bats (589), runs (92), hits (168), doubles (38), walks (79), stolen bases (62) and on-base percentage (.369)...Batted .276 (117-for-424, 11hr) as a left-handed hitter and .309 (51-for-165, 8hr) right-handed..Joined Tommy Harper (1969) and Scott Podsednik (2004) as the only players in franchise history to lead the Major Leagues in stolen bases.....recorded the third season of 60+ steals in franchise history, joining Harper (73 in 1969) and Podsednik (70 in 2004)...Became the first player in the Major Leagues to produce 15 HR and 60 SB in a season since Carl Crawford (15hr/60sb) with Tampa Bay in 2009...Ranked among the National League leaders in walks (T8th, 79) and doubles (T9th, 38) Walked in 9 consecutive games (10 total walks) from 5/24-6/1, tying a franchise record with Darrell Porter (1975), Darryl Hamilton (1995) and John Jaha (1998)...Belted leadoff homers on 6/4 at Philadelphia, 9/6 vs. Chicago-NL and 9/28 at Texas.....now has 4 career leadoff homers (also 9/10/13 at Seattle)...Smacked his first career grand slam on 9/4 at Pittsburgh off Juan Nicasio .....became the sixth player in franchise history to produce a pinch-hit grand slam...Homered from both sides of the plate on 9/7 vs. Chicago-NL.....became the fourth player in franchise history to accomplish that feat...Named Brewers Player of the Month for May (29g, .355, 1hr, 16rbi, 14sb, .482slg, .450obp)...Following the season played for Cibao in the Dominican Winter League. Batted .284 with 2 HR and 11 RBI in 53 games with Houston…Had three stints with the Astros (Opening Day-4/22, 4/28-6/9 and 9/1-end)…Made 28 starts (18g at SS, 8g at 3B, 2g in LF)…Batted .302 (16-for-53, 1hr) as a left-handed hitter and .270 (17-for-63, 1hr) right-handed…Belted his first career pinch-hit homer on 9/5 at Oakland with a solo shot off Felix Doubront…Appeared as a pinch-runner in the Wild Card Game on 10/6 at New York.....stole a base and scored in the Astros' 3-0 victory…Batted .271 with 5 HR, 32 RBI and 35 stolen bases (led the Pacific Coast League) in 70 games at Triple-A Fresno…Following the season played for Aguilas in the Dominican Winter League…Was traded to Milwaukee on 11/19 in exchange for RHP Cy Sneed. Began the year with the Major League club for the first time in his career and started on Opening Day at shortstop...had two stints with Houston and served as the club's everyday shortstop to start the season, before being optioned to Triple A Oklahoma City...played in a career-high 86 games and made 78 starts, all at shortstop...after a hot start, was optioned to OKC on June 30...played in 51 games with OKC before being recalled on Sept. 2 where he remained through the season, making 12 starts...blasted a three-run homer off knuckle-baller RHP R.A. Dickey on April 10 at TOR...the three RBI marked a career high...on April 19 at OAK, became the first Astros shortstop since IF Miguel Tejada on April 21, 2008, to record at least two extra-base hits, two runs scored and a stolen base in the same game...through April 22, had not committed an error in his 85 total chances and ranked tied for first among MLB shortstops in fielding (1.000) and fifth in assists (59)...went 2x3 with a double and a two-run triple April 27 vs. OAK...became the first Astros shortstop since IF Adam Everett in 2006 to record a double and a triple while scoring at least two runs in a single game...snapped an 0x26 run with an RBI-double that plated the game winning run in the 7th on May 31 vs. BAL...per Elias, the last group of players that ended a single-season hitless streak of that length with a hit that produced a game winning RBI: IF Hanley Ramirez (2012), C Mike Piazza (2006) and C Miguel Olivo (2005)...hit .258 (49x190) with 24 steals, 27 RBI and a .363 OBP in 51 games at Triple A OKC...played in 38 games for the Aguilas Cibaenas in the Dominican Winter League following the season, hitting .233 (30x129) with three home runs, 13 RBI and eight steals. Last name is pronounced: vee-YAR. Signed with Philadelphia as a 17-year-old amateur free agent out of the Dominican Republic on May 20, 2008...signed by Phillies scout Sal Agostinelli. IN THE COMMUNITY: This offseason, Jonathan held a baseball camp for the "La Barranca" Little League in his hometown of La Vega, DR...Jonathan, who played in La Barranca Little League when he was growing up in the Dominican, hosted 150 kids and spoke to them about the importance of hard work on the field and being a positive influence in the community...he gave away some Astros promo items as well as baseball equipment ... Jonathan plans to hold this event every offseason going forward. Added to the Astros 40-man roster on Nov. 20, 2012...is currently signed to one-year contract that runs thru the 2014 season. Played in 132 games combined with Class A Lakewood (100g) and Advanced Class A Lancaster (32g), hitting .260 (130x500) with 24 doubles, five home runs, 55 RBI and 45 stolen bases...began the year with Lakewood in thePhillies organization...hit .272 (101x371) with 38 stolen bases en route to being named a midseason and postseason South Atlantic League All-Star...acquired by Houston on July 29 as part of the return on the Roy Oswalt trade to Philadelphia...promoted to Lancaster and finished the season at the Advanced A level...played in 12 games for Cibaenas in the Dominican Winter League following the season. Appeared in 41 games for the GCL Phillies and Class A Williamsport, combining to hit .263 (35x133) with 19 RBI and 17 stolen bases...played 29 games at shortstop. Payed his entire season at the age of 17...played all over the diamond, appearing in 40 games at shortstop, 18 at second base, two at third base and one at first base and center field...since that season, has only appeared defensively as a shortstop. August 2, 2018 Baltimore Orioles activated 2B Jonathan Villar. July 31, 2018 Baltimore Orioles traded 2B Jonathan Schoop to Milwaukee Brewers for 2B Jonathan Villar, RHP Luis Ortiz and SS Jean Carmona. July 28, 2018 Milwaukee Brewers sent 2B Jonathan Villar on a rehab assignment to Colorado Springs Sky Sox. July 15, 2018 Milwaukee Brewers placed 2B Jonathan Villar on the 10-day disabled list. Sprained right thumb. June 27, 2017 Milwaukee Brewers activated 2B Jonathan Villar from the 10-day disabled list. June 22, 2017 Milwaukee Brewers sent 2B Jonathan Villar on a rehab assignment to Wisconsin Timber Rattlers. June 10, 2017 Milwaukee Brewers placed 2B Jonathan Villar on the 10-day disabled list. Lower back strain. December 12, 2016 SS Jonathan Villar assigned to Aguilas Cibaenas. November 19, 2015 Houston Astros traded 2B Jonathan Villar to Milwaukee Brewers for RHP Cy Sneed. October 15, 2015 Houston Astros activated SS Jonathan Villar. October 8, 2015 Houston Astros reassigned SS Jonathan Villar to the minor leagues. September 1, 2015 Houston Astros recalled SS Jonathan Villar from Fresno Grizzlies. June 10, 2015 Houston Astros optioned SS Jonathan Villar to Fresno Grizzlies. April 28, 2015 Houston Astros recalled Jonathan Villar from Fresno Grizzlies. April 23, 2015 Houston Astros optioned SS Jonathan Villar to Fresno Grizzlies. January 28, 2015 SS Jonathan Villar assigned to Dominican Republic. September 2, 2014 Houston Astros recalled Jonathan Villar from Oklahoma City RedHawks. July 1, 2014 Houston Astros optioned SS Jonathan Villar to Oklahoma City RedHawks. July 22, 2013 Houston Astros recalled SS Jonathan Villar from Oklahoma City RedHawks. March 17, 2013 Houston Astros optioned Jonathan Villar to Oklahoma City RedHawks. November 20, 2012 Houston Astros selected the contract of Jonathan Villar from Corpus Christi Hooks. September 6, 2012 Jonathan Villar roster status changed by Corpus Christi Hooks. July 15, 2012 Corpus Christi Hooks placed SS Jonathan Villar on the 7-day disabled list. February 6, 2012 Houston Astros invited non-roster SS Jonathan Villar to spring training. June 1, 2011 SS Jonathan Villar assigned to Corpus Christi Hooks from Lancaster JetHawks. April 4, 2011 Jonathan Villar assigned to Lancaster JetHawks from Oklahoma City RedHawks. 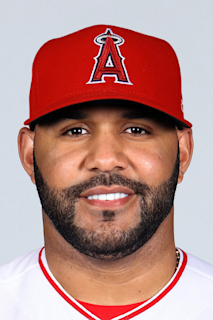 March 29, 2011 Jonathan Villar assigned to Oklahoma City RedHawks. March 2, 2011 SS Jonathan Villar assigned to Houston Astros. October 23, 2010 SS Jonathan Villar assigned to Aguilas Cibaenas. July 29, 2010 Houston Astros Traded RHP Roy Oswalt to Philadelphia Phillies; Philadelphia Phillies Traded LHP J.A. Happ to Houston Astros; Clearwater Threshers Traded Anthony Gose to Lancaster JetHawks and Lakewood BlueClaws Traded SS Jonathan Villar to Lexington Legends. April 5, 2010 Jonathan Villar assigned to Lakewood BlueClaws from Williamsport Crosscutters. August 22, 2009 Jonathan Villar assigned to Williamsport Crosscutters from GCL Phillies. June 23, 2009 Jonathan Villar assigned to GCL Phillies.